Today it snowed, and it is supposed to snow tomorrow and the day after tomorrow. 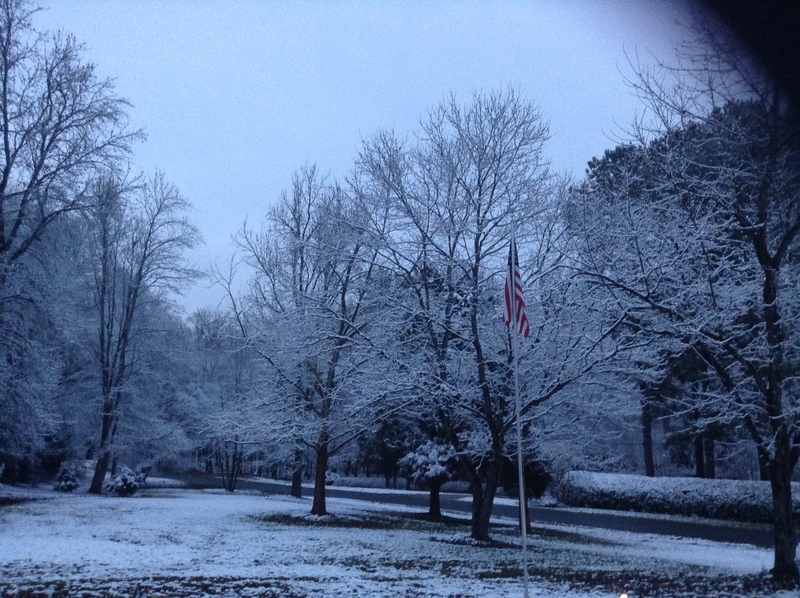 As resident of South Carolina, it is not often that we see snow. And if we see, it is usually here for a day and then it vanishes. But today it seems that it is here to stay. I love snow, so I am happy. Moreover here in the South, the world shuts down when it snows so school is cancelled as well. Yeah;-) More me time. Anyway, with the cold temperature out there, there is nothing better than a hot cocoa to warm you up from the inside out. I love hot cocoa… but hot cocoa is one of those treats that is so so good, it is not really good for it. So here is a substitute that tastes nearly as wonderful and is very good for you. Place all the ingredients in a blender and blend it for a few minutes. It can be drank cold or warm. I like it both ways. YUM!!! I love this treat because I do not feel guilty drinking this. 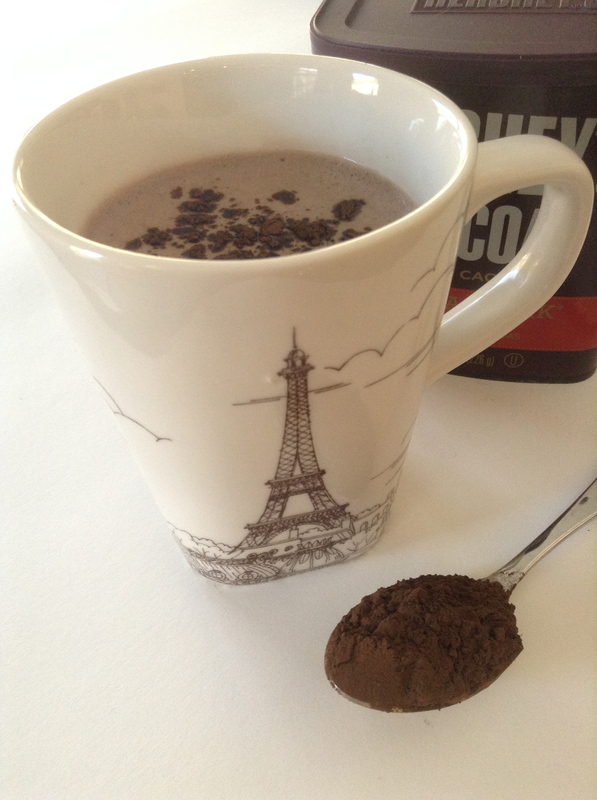 the dark cocoa from Hershey really help masking the taste of the protein powder. It tastes so much better when it is NOT healthy!! !